There’s nothing like a warm breakfast on a cold winter morning. For me, comforting carbs with an optional boost of protein and natural sweeteners hit the spot every time. 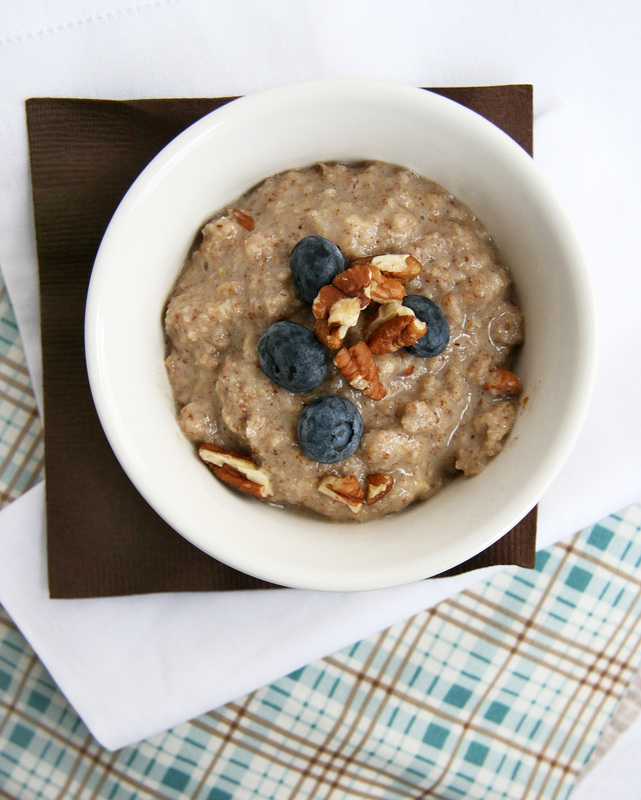 Hot cooked oats with high-fiber flax, sweet cinnamon and maple syrup combine for a hearty and energy-packed breakfast. For those of you who aren’t much into early morning meals, this dish could also be served as a mid-morning or pre-workout snack. 1. In a small saucepan, combine oat bran, salt and water over the stove on high heat. Bring to a boil, then reduce heat to a simmer and stir until desired consistency is reached, stirring often (mine cooks for about 2 minutes). 2. Remove from heat and stir in protein powder, coconut oil/butter, maple syrup, flax meal, cinnamon and half of pecans. 3. 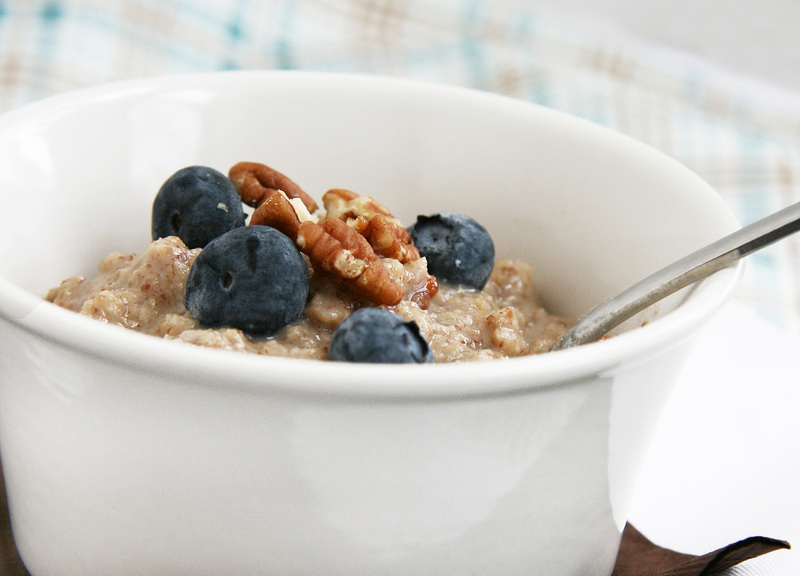 Top with berries and remaining pecans and enjoy! Mmmm, this sounds delicious. 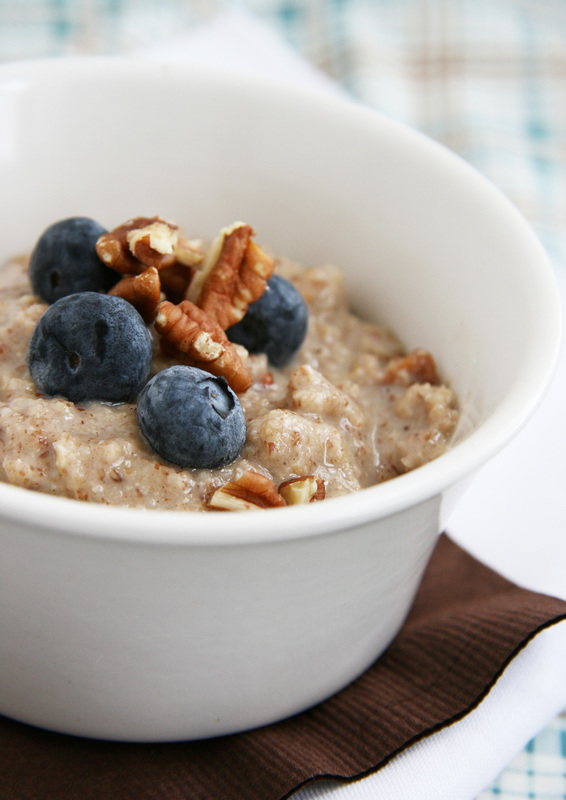 I’m usually pretty creative with my morning oats, but I can’t believe I’ve never thought of maple and pecans before! That sounds awesome!